A new and exciting opportunity is here. If you are looking for ways to get more involved in IFSA, this might be your big chance. The position for LO FAO is now open. You might be asking yourself what an LO is? An LO (Liaison Officer) is the correspondent between IFSA and one of its professional partners. He/she is elected by the General Assembly (or in special cases like this one, by the Council with consultation of the Direction). FAO (Food and Agriculture Organization) of the United Nations is one of those partners IFSA cooperates with. The FAO looks to achieve food security for all – to make sure people have regular access to enough high-quality food to lead active and healthy lives. One of the ways in which this can be done is through making agriculture, forestry and fisheries more productive and sustainable, and enabling inclusive and efficient agricultural and food systems. Ensuring an efficient changeover to the next LO and providing support at least until the end of the calendar year. Creating joint projects to involve students in FAO projects and vice-versa. Organizing the Youth Special Event in the FAO World Congress that will be held in Durban in 2015. It is strongly recommended that the LO FAO has excellent English skills; has acquired previous experiences and skills in communicating and cooperating with professional partner organizations; has a deep understanding of IFSA or other youth organizations, meaning that the person should have been involved for a reasonable time period in the organization. All in all, a great and sensitive common sense and the capacity for strategic thinking is the best asset to meet the requirements of this demanding position. By applying to this position, you could broaden your horizons, meet interesting leading people from other international student organizations, and learn about the functioning of organizations in general. 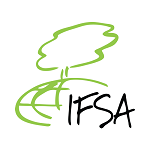 You would be part of the team of IFSA Officials until the next General Assembly (August 2015), hence getting to learn about online teamwork in an international context. Overall, it is a real chance to develop many useful skills!